When 12-year-old Iona wrote to us, offering to write an article for Jump! 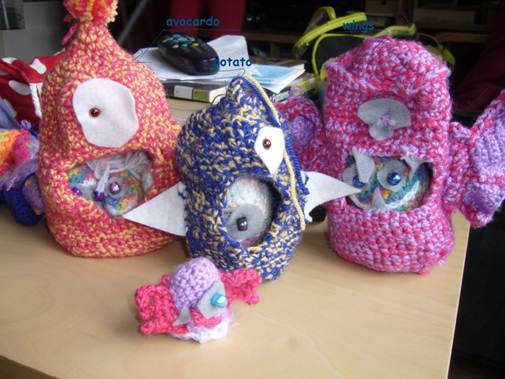 Mag about Amigurumi, our first question was, “What is Amigurumi?”. She explained and we jumped (ha!) 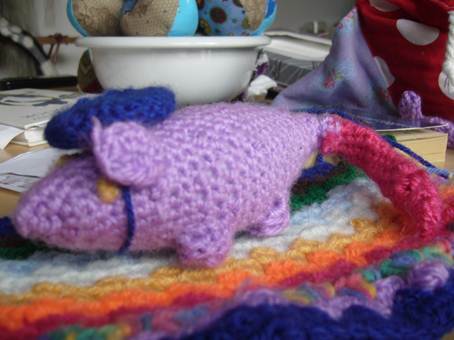 at the chance of having a talented crochet artist bring some colour and cuteness to Jump! Mag. 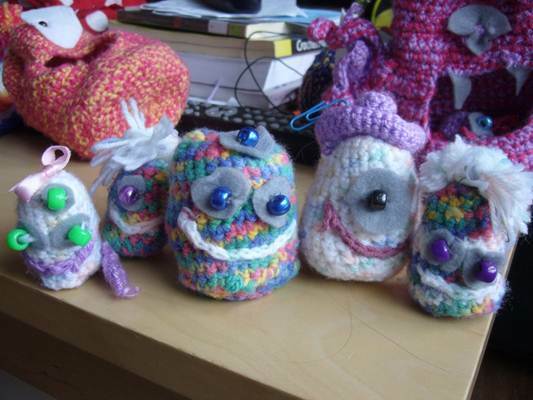 Hi my name is Iona and I am doing an article about Amigurumi. Amigurumi is Japanese, “Ami” – meaning Crochet or Knitted, and “Nui Gurumi” – meaning Stuffed doll. The “Nui” in “Nui Gurumi” is dropped so it is said “Amigurumi. These are three monster houses and each one has at least one monster in it. Making a monster house may sound hard but it is really just knowing how to put something into a shape so for example house one the left (avocado) is quite simple it is really just a circle for the base then you just stich as normal to go up then leave a gap for the mouth, (it sounds hard but it is really easy when you do it) then you go up again then reduce quite slowly and cut a circle of felt and put in one of those safety eyes and put on a pom-pom. This is me French rat! With a little beret! It is just a tube with a point one end and stubs for feet the ears I made with a leaf pattern and the hat is the bottom of a monster the tail is a long thin tube so if you see what I mean all you need to do is base something down into a shape then of you go! All of the stuff I have shown you were done using one type of stitch. If you don’t have a relative who knows how to crochet, you can learn from a book such as this one, or check out YouTube for crochet tutorials. Or ask in your local wool shop if they run classes. That looks like fun! And yes, my favourite part would be the decorating too. I love your article!! !tthry are sooooo cute…..